When I first bought the beach hut, I spent many a happy and distracted hour chatting to all and sundry as I worked on the hut; fellow hut owners, dog walkers, fishermen, cyclists and long-distance walkers. Every one had a story to share about their memories and experience of the place. A thousand stories lie across the beach and in the hearts of the people who live, work and relax there—now and through history. I have always collected stories—mostly I have collected these in my own head and relayed them haphazardly as conversation calls them to mind. But in passing time with all these people, I pondered the idea of formally collecting the stories that specifically related to the beach huts and the immediate area. I finally started this process with the most recent Coastal Currents open studios. A few brave souls shared their stories using the postcards I had printed for the event. Still others have promised to send theirs on in time. I’d love to hear your stories of the sea, whether they relate to the Bulverhythe area or somewhere else entirely. Sea stories can be anything that relates to the sea and your experience and memory of it. It can be a story from your own life, or from the lives of those you love or have known. 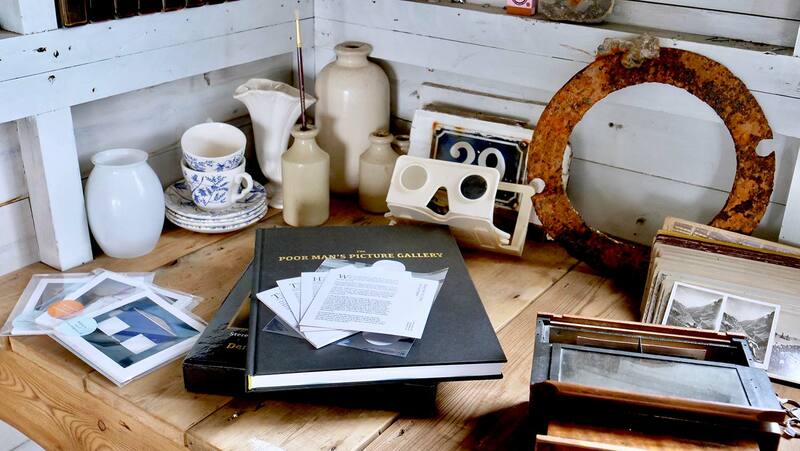 If you’d like to add your story to the collection, head over to the sea stories page. For this year’s open studio—and in lieu of the real stories of the beach huts and their inhabitants—Jamie and I decided to collaborate on a project that imagined what might be going on behind the closed doors of a few of the huts. 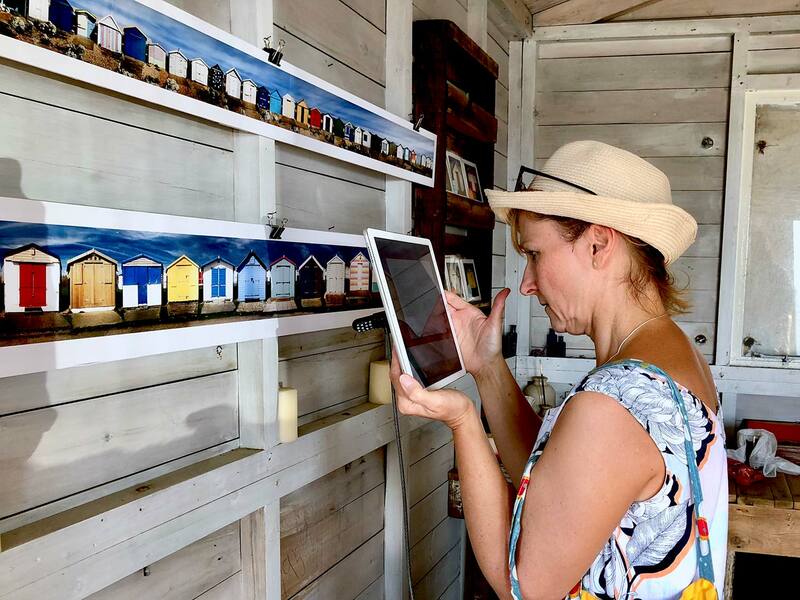 Told using photography and augmented reality, the story text was overlaid panoramic images of the first and second rows of beach huts. Visitors had to explore the huts to find each story. The complete collection of stories is available to buy from Studio 4 Frames at Marine Court, where you can also pick up sea stories postcards. 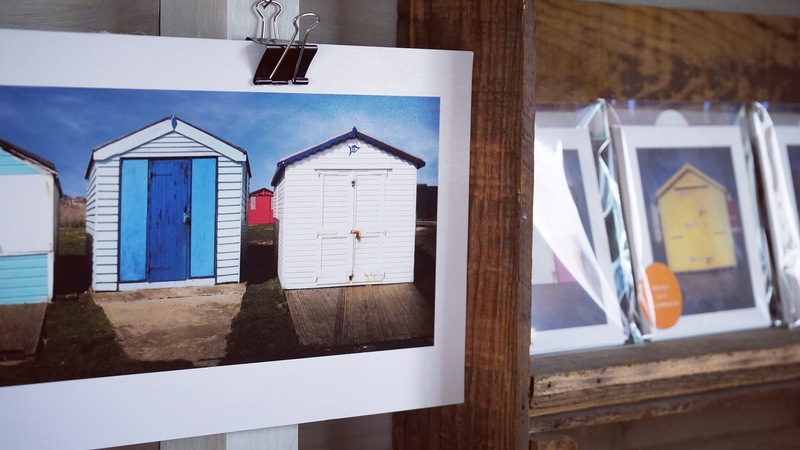 I have many more beach hut images to stitch together, but time and energy ran short. It took a fair number of days to complete those panoramas that made it in this time. Maybe next time we will have every hut represented and fill the walls of Beach Hut 123 with images of every hut in the area.